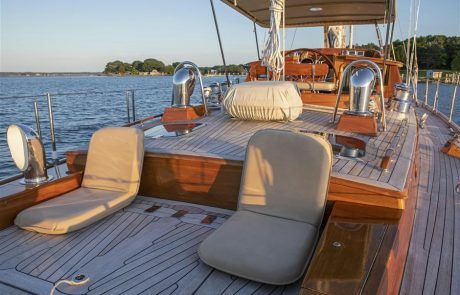 PATRIOT’s on deck arrangement is practical in all respects and elegantly detailed in natural and varnished teak. 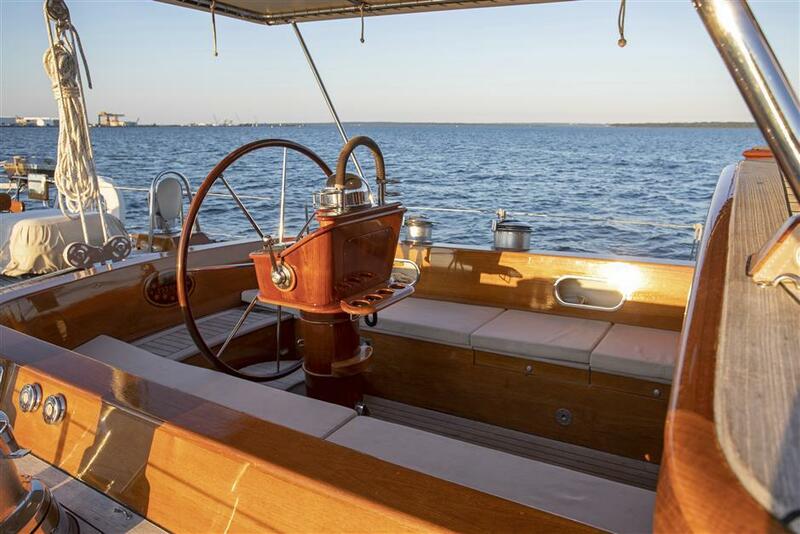 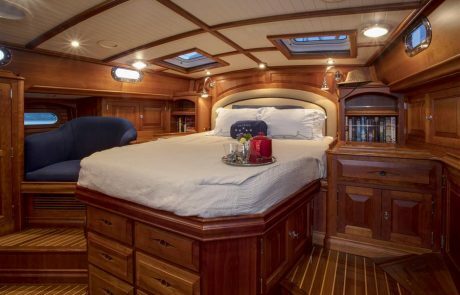 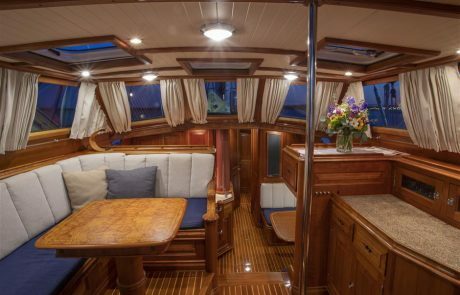 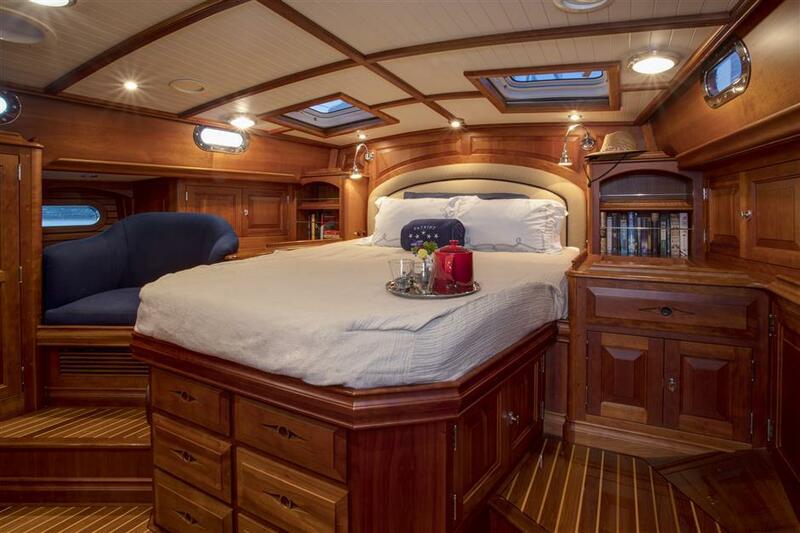 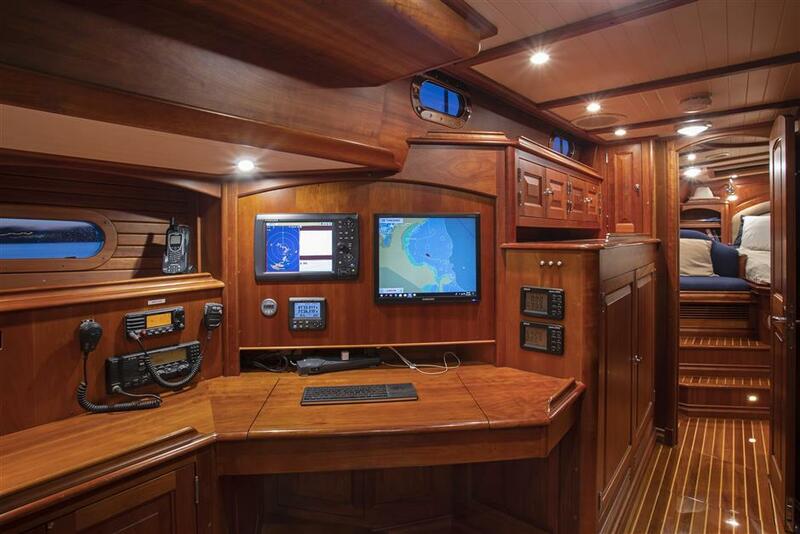 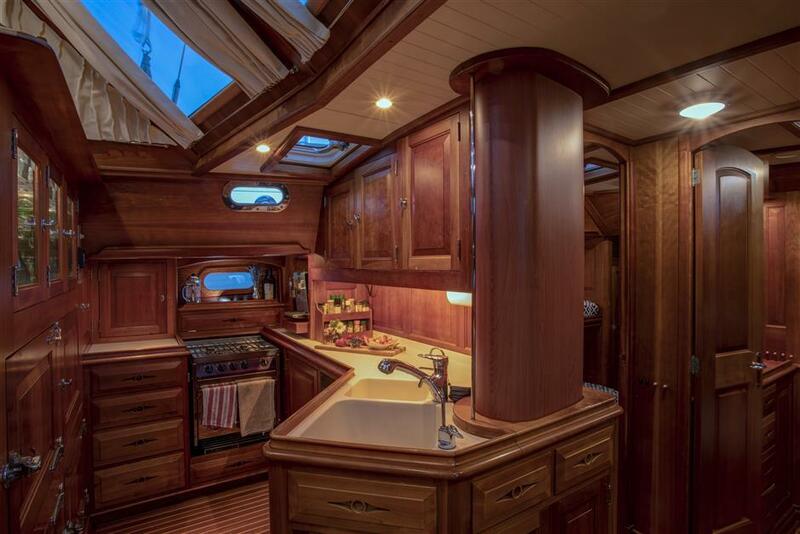 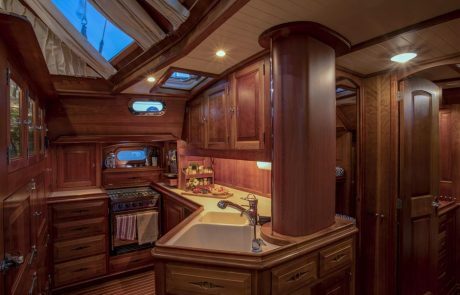 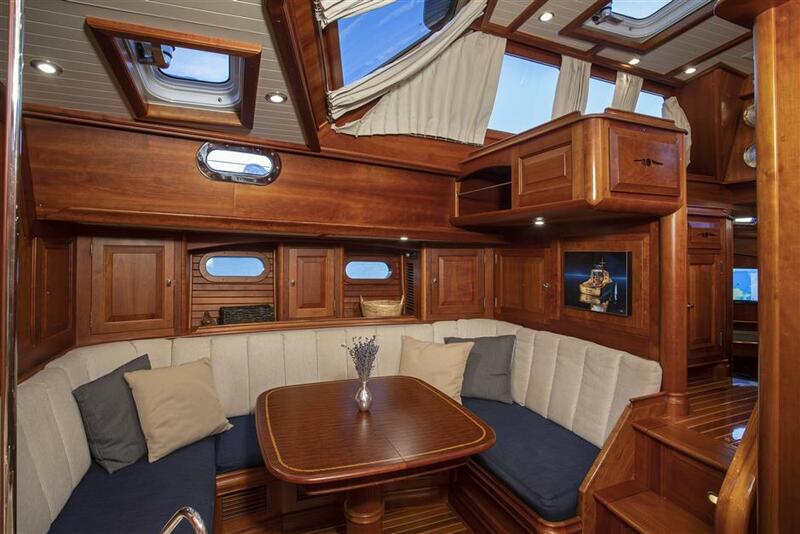 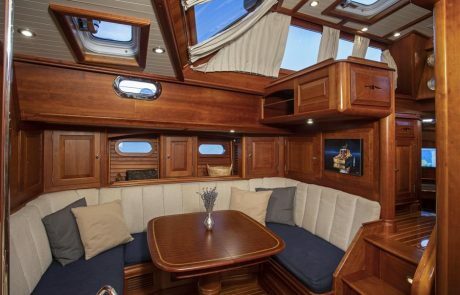 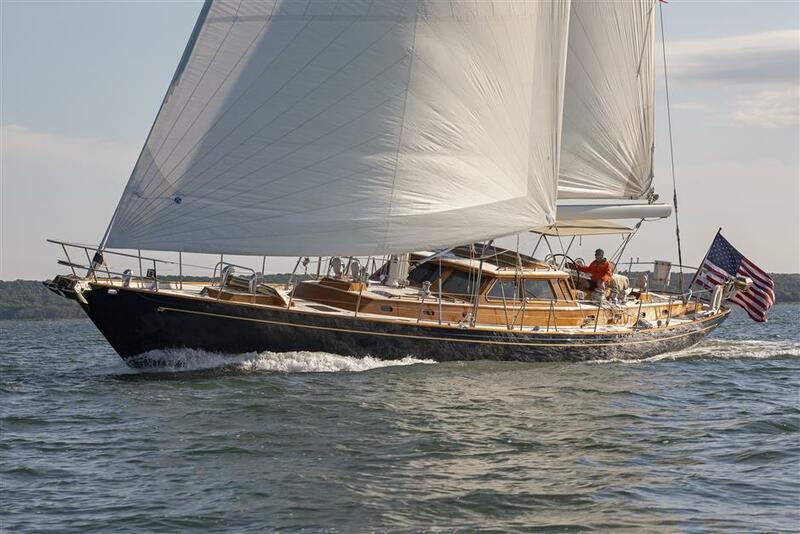 Her center cockpit is comfortable for entertaining and dining around the bright varnished teak table, while offering convenient access to all sail handling controls and equipment. 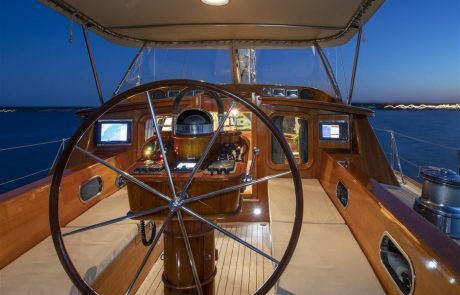 The cockpit is fully protected from the elements with a combination Dodger/Bimini, framed in SS and covered with Linen Sunbrella, with clear Stratoglass windows forward and removable Stratoglass panels forward port and starboard. 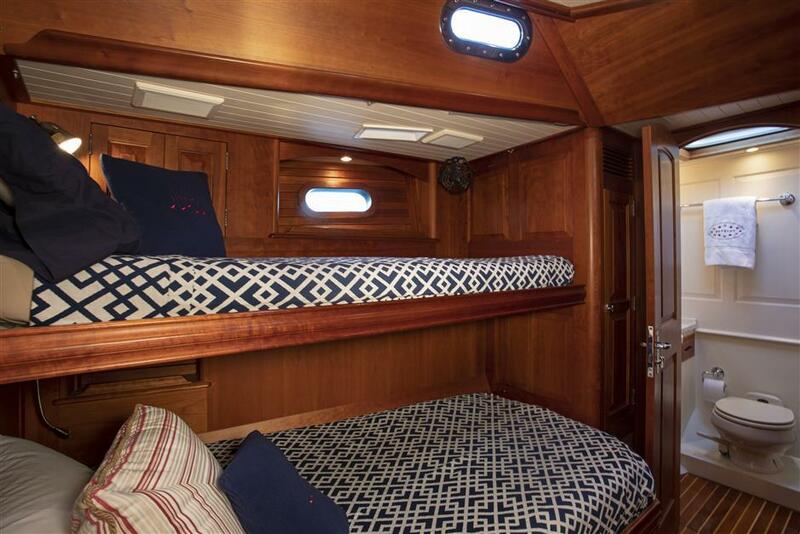 Additional clear side curtains create a complete and comfortable enclosure. Indeed, PATRIOT’s helm and entertaining cockpit easily adapts to all environments.